Twelve luxurious Fully Air-conditioned Duplex Units overlooking the beach. 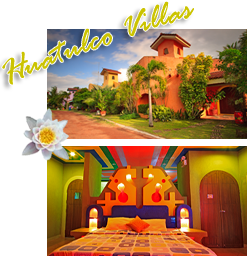 The Mexican inspired architecture and stylishly designed 204.sq. m. interior evolves privacy, relaxation and elegance. Decorated in traditional bright colors and accented with Mexican handicrafts, you’ll feel right at home – if you lived on the Pacific coast of Mexico! A Private Patio with ocean and garden views and a Hammock built for two.